Georgi Hall, from Columbia Baptist Church, will discuss how her congregation grows food for a local food pantry. Cory Suter, Permaculture Farmer from Daniels Run Peace Church, will speak about Fairfax Food Council resources for gardeners, and Edible Landscaping as a less labor intensive way for congregations to grow food. 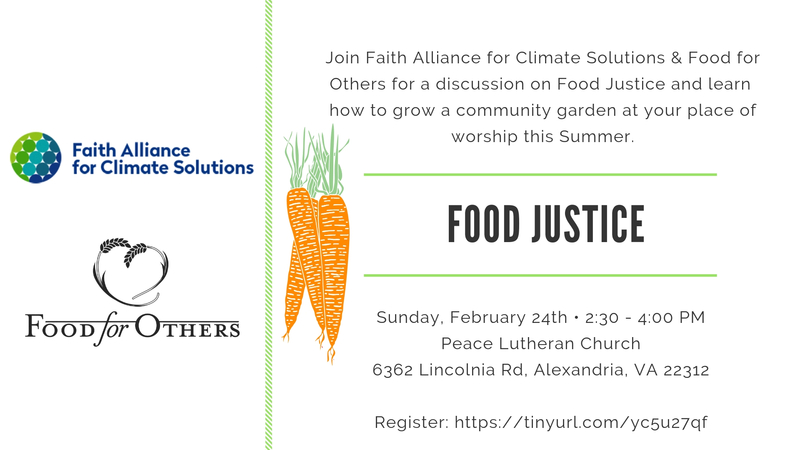 Sarah Scherschligt, pastor at Peace Lutheran and FACS Board Member, will speak about the link of food justice and faith.